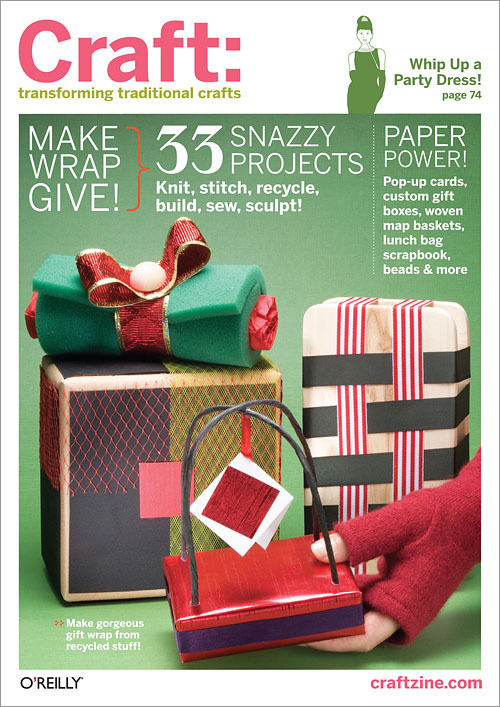 The theme for CRAFT Volume 05 is paper. Our Special Section includes articles and projects on paper sculptures, book binding, decorative paper cutting, and paper making. Examples of other non-pulp projects for this issue include: an op-art mirror, a 5-foot bolster-pillow, starting your own sourdough starter, a beaded purse made from a cigar box, and a "sneaky" jacket made with all sorts of secret pockets and compartments.